After a thrilling run at the tables or an enjoyable round of golf, why not cap off the day at Mesquite's best nightlife lounge? 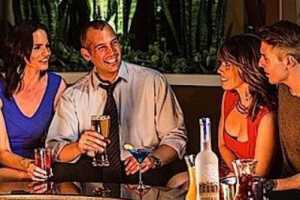 Think Seasons Ultra Lounge is "just another casino lounge?" Guess again. If you're looking for a stylish yet easygoing vibe with great music, you've come to the right place. On any given night, you can stroll into the lounge, order a cocktail or request bottle service in our VIP area and catch one of your favorite singers, live bands or possibly discover a new favorite. Seasons is also home to the atmosphere Virtual Band System so you might get the chance to enjoy your favorite song as played by our virtual band.